Mon., 26 Aug. - Thu., 29 Aug. 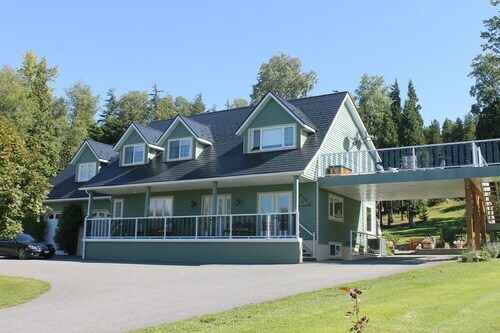 Situated in Terrace, this bed & breakfast is within 6 mi (10 km) of Hai Lake - Mount Herman Provincial Park, Chances Terrace, and Heritage Park Museum. Skeena Valley Golf and Country Club is 6.1 mi (9.8 km) away. 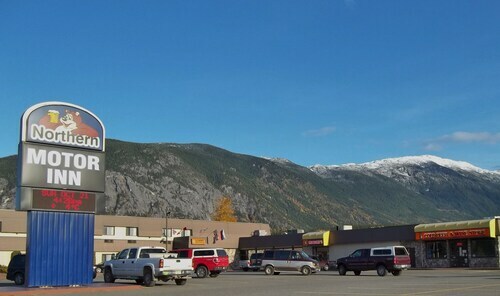 Located in the heart of Terrace, this hotel is 1.8 mi (2.9 km) from Chances Terrace and 2.3 mi (3.7 km) from Skeena Valley Golf and Country Club. Heritage Park Museum and Hai Lake - Mount Herman Provincial Park are also within 9 mi (15 km). Situated in Terrace, this hotel is 1.7 mi (2.7 km) from Chances Terrace and 2.2 mi (3.5 km) from Heritage Park Museum. Skeena Valley Golf and Country Club and Hai Lake - Mount Herman Provincial Park are also within 12 mi (20 km). Terrace Station is 26 minutes by foot. 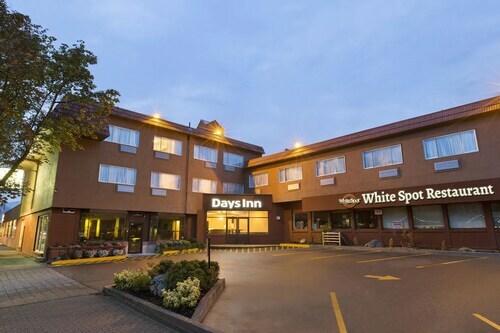 Located in the heart of Terrace, this eco-friendly hotel is 0.4 mi (0.7 km) from Chances Terrace and 1.4 mi (2.2 km) from Heritage Park Museum. Skeena Valley Golf and Country Club and Hai Lake - Mount Herman Provincial Park are also within 9 mi (15 km). Terrace Station is only a 2-minute walk. Situated on a lake, this eco-friendly hotel is 0.5 mi (0.8 km) from Chances Terrace and 1.3 mi (2.1 km) from Heritage Park Museum. Skeena Valley Golf and Country Club and Hai Lake - Mount Herman Provincial Park are also within 9 mi (15 km). Terrace Station is only a 3-minute walk. 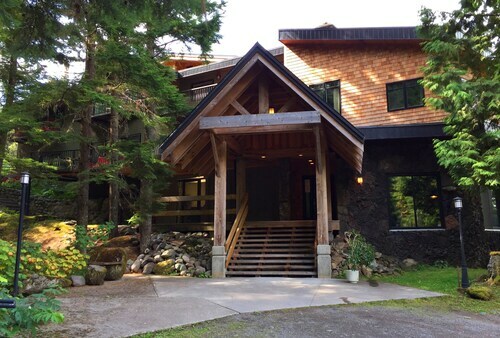 Situated in Terrace, this lodge is within 3 mi (5 km) of Chances Terrace, Skeena Valley Golf and Country Club, and Heritage Park Museum. Hai Lake - Mount Herman Provincial Park and Kleanza Creek Provincial Park are also within 12 mi (20 km). Situated in Terrace, this motel is 0.4 mi (0.7 km) from Chances Terrace and 1.9 mi (3.1 km) from Heritage Park Museum. Skeena Valley Golf and Country Club and Hai Lake - Mount Herman Provincial Park are also within 9 mi (15 km). Terrace Station is 14 minutes by foot. 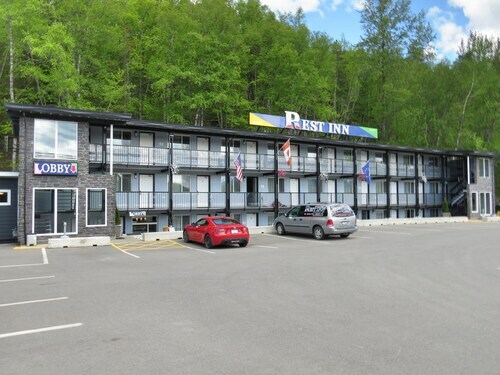 Situated near the airport, this motel is 1.9 mi (3 km) from Chances Terrace and 2.3 mi (3.7 km) from Skeena Valley Golf and Country Club. Heritage Park Museum and Hai Lake - Mount Herman Provincial Park are also within 9 mi (15 km).